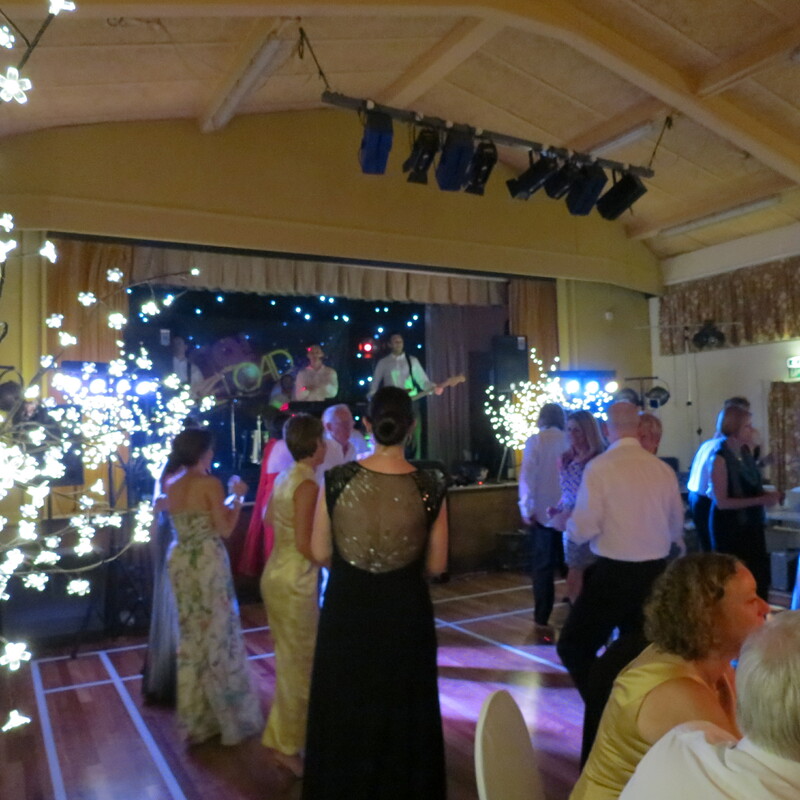 Seventy four guests enjoyed the first Oxton Summer Ball on Saturday 29th June. The weather was kind, the village hall was decked out with lighted trees, the tables with white tablecloths and chair covers, candelabras and mirrors all creating a glamorous effect. The pre dinner drinks of Pimms were taken in the marquee and grass area outside the hall. The diners were then ushered into the hall where they were served a superb dinner of seafood platter, followed by pan fried breast of chicken and completed by an assiette of desserts all washed down with a fine selection of wines. There followed a film based quiz, won by the Ashmore/Todd table, Australian Bingo and then an auction of 3 items; a spa day for two, including lunch, at Lakeside, a wine tasting for 12 people and a flight for two people in a light aircraft. Finally the guests danced the night away to the band GO RELOAD and then the DAGOBA INFERNO disco. 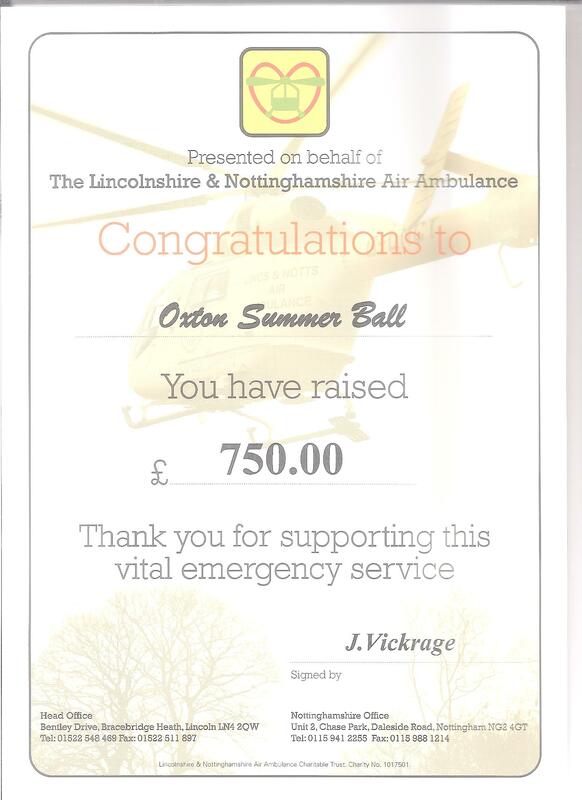 The Bingo and Auction raised £ 750 for our chosen charity the Lincs./Notts. Air Ambulance thanks to the great generosity of the diners. We would like to thank all the guests who attended, David Bond and his superb staff from Lakeside who catered for our every needs in the culinary and drinks department and finally to all the Projection House team without whom none of this would have been possible. An excellent event and what a venue! The Hall looked fantastic to walk into. Very well done to the organisers. I thoroughly enjoyed the experience. Richard.